Home Funny Guy Creates Tinder Account With Hilarious Powerpoint Presentation On Why Women Should Date Him. 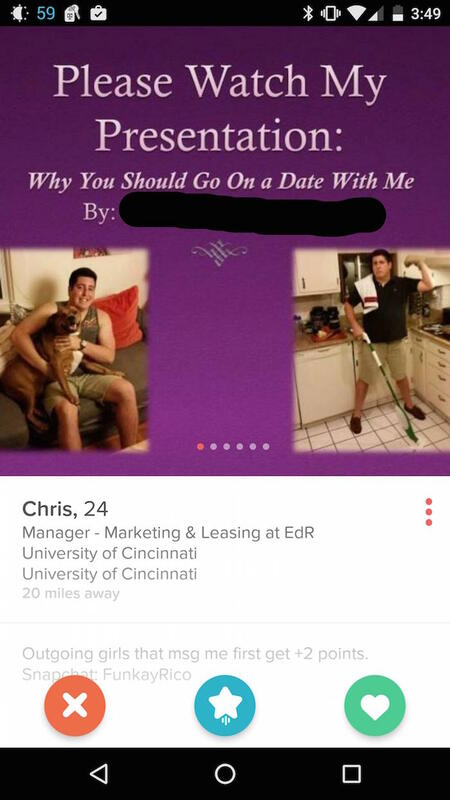 Guy Creates Tinder Account With Hilarious Powerpoint Presentation On Why Women Should Date Him. 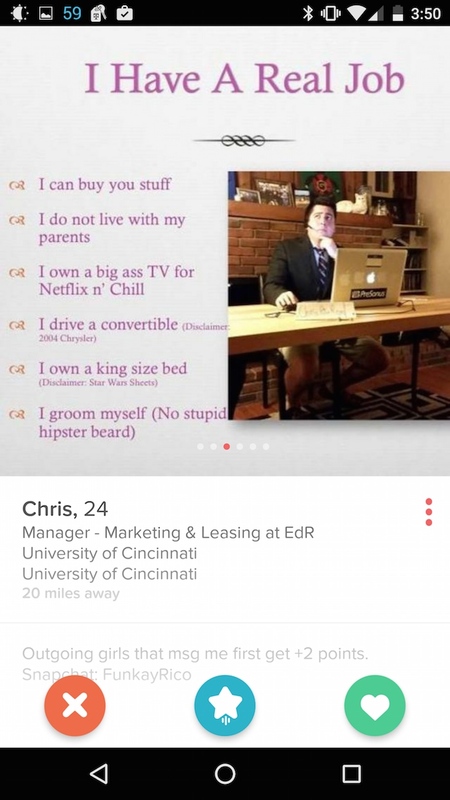 A guy called Chris has created the most persuasive and detailed Tinder profile the Internet has ever seen. 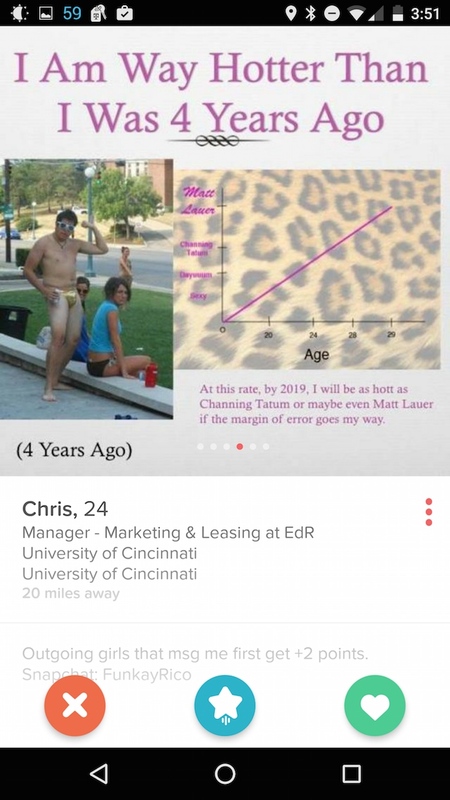 Instead of using Tinder's six photo slots for the ordinary fare (shirtlesss pic, tiger pic, group of friends pic where you have to guess which is him), he optimized his space by creating a six-slide Powerpoint presentation listing all the reasons women should date him. His bullet points are hilarious and strangely convincing. 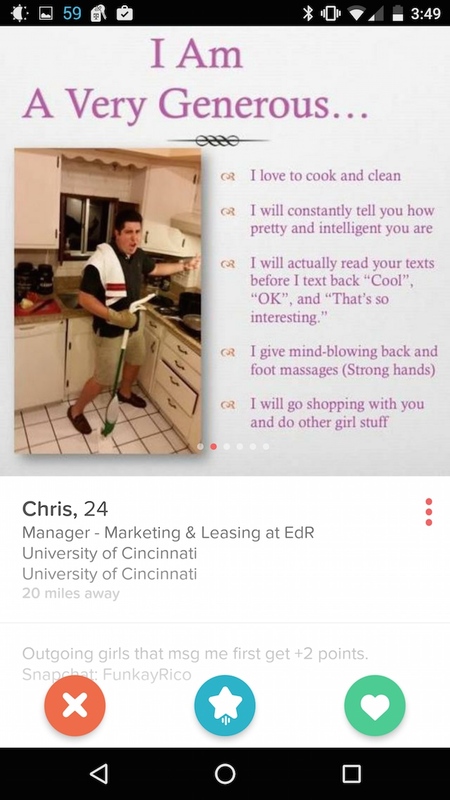 Any woman who reads to the end of this would be foolish not to go on a date with Chris. How often do you meet a guy who's talented, sensitive, good at massages (strong hands), has his own place, and no longer wears gold banana hammocks? Almost never.